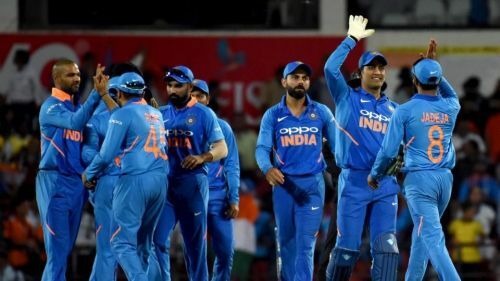 The wait is over, and the selection committee of BCCI has just announced the Indian squad for the 2019 World Cup. Virat Kohli, the captain of Indian cricket team and chief selector MSK Prasad had stated that the IPL would not have any impact on the team selection for the World Cup. Keeping their word, they have not picked players on the basis of their IPL performances. Dinesh Karthik has been picked in the World Cup squad despite failing to make an impact in this IPL. This shows that selectors have not given importance to the IPL performances. Under the leadership of MS Dhoni, India were the semi-finalists in the 2015 World Cup and were the World Champions in World Cup 2011. This is the first World Cup for Kohli as skipper. India is one of the favourites to win this World Cup and will hope to be world champions for the third time. Let's have a look at the squad of India for this year along with the two previous editions. The current squad of India has two regular openers - Rohit Sharma and Shikhar Dhawan with KL Rahul as a reserve opener. The middle order batsmen in the squad are Vijay Shankar, MS Dhoni, Kedar Jadhav and Hardik Pandya. The selectors have also hinted that Rahul may play as a middle order batsman if the team management thinks so. India has left out Ambati Rayudu, keeping in mind his struggle against pace. They have also preferred Dinesh Karthik to Rishabh Pant as the reserve wicket-keeper for this World Cup. Pandya and Jadhav are the batting all-rounders, with Shankar also being a part-time bowler. Kuldeep Yadav and Yuzvendra Chahal are the main spinners with Ravindra Jadeja as a bowling all-rounder. The pace attack of India looks rock solid with likes of Jasprit Bumrah, Bhuvneshwar Kumar and Mohammad Shami. The selectors can make changes in the squad by 23rd May 2019. If any player gets injured seriously during the World Cup, he can be replaced with any other player with the permission of the ICC.